HHB Communications and its Soho-based, post-focused division Scrub has been named Avid’s EMEA Audio Top Channel Partner for 2016. 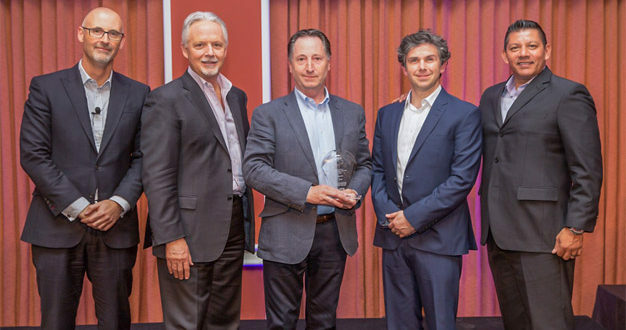 It is the third time in four years that the company has been recognised with this award from Avid for excellence in Pro Tools sales and support in Europe the Middle East and Africa (EMEA). HHB and Scrub have now supplied more than 100 Avid S6 control surfaces to the UK’s leading broadcast, audio post and educational facilities, including ITN Productions, Goldcrest, Gorilla, ENVY, Dolby’s own in-house theatre, the University of the West of England and more, as well as upgrading the UK’s top studios to the latest Pro Tools software and HD hardware. 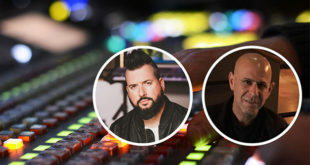 The company has developed a reputation for its expertise in Avid audio technology, and is relied upon by clients to advise, configure, install and support their Pro Tools systems, and also as a ‘one-stop-shop’ for all their pro audio equipment requirements from microphones through to monitoring. 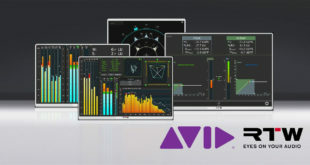 HHB’s technical department is comprised of an experienced team of specialists providing first-line support for Avid Pro Tools HD customers, offering the services of four Avid Certified Service Representatives (ACSR). Located at 69 Wells Street in the heart of the Soho post-production community, Scrub hosts the largest pro-audio demo facility in London, featuring a Pro Tools S6 presented in AKA Design bespoke studio furniture, a Pro Tools S3 control surface paired with a Pro Tools Dock surface, Pro Tools HDX and an immersive audio system achieved through a Genelec Experience Centre. Visitors to the space can experience a full range of immersive audio formats, covering creative sound design from the stereo and binaural sound of virtual reality to Dolby Atmos and DTS:X, with specialists available to discuss these new platforms. The 33 speakers set up are used for immersive audio, studio and installation demonstrations.